Pregnancy has let to my snack habit becoming even worse than usual. I have always been a fan of snacking but being pregnant I find it hard to go longer than a couple of hours without eating and I am prone to spells of dizziness and fainting if I attempt to. 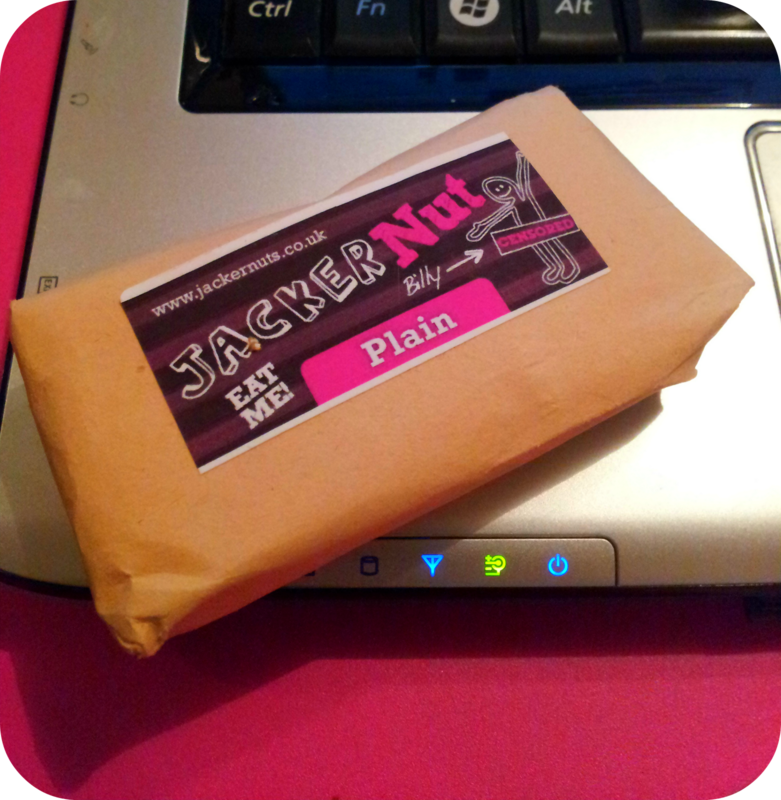 My lovely friend has sent me some of her delicious new snack bars, Jackernuts and I am finding them the perfect handbag sized treat. Homemade and individually wrapped they are sold as a 'nut butter bar' and are like flapjacks. There are many different flavours, with the hazelnut being my favourite. They are lovely and crumbly and I am using this as a great excuse not to break any off and share it! I have just tucked into the plain bar as I type this post and I can whole heartedly and full mouthedly recommend these! Disclaimer: I was sent these snacks by a friend who is also the creater of them. I was not asked to write a blog post, I just wanted to share them as I am a huge fan. All thoughts and opinions are my own. OOO I've not seen these before but those cute little alien scribbles are drawing me to them! I do love the little one in the hammock! Mmm these look rather lovely! I like the sound of these and have been looking for them - are they stocked in stores and if so, how do I found out which ones?